Dr. Ashley D. (Miller) Anderson is a business owner, serving as co-owner of Athena Health and Wellness, a woman’s health practice that is the first of its kind in Louisville, Ky. She is a Women’s Health Nurse Practitioner, motivational speaker, athlete, political figure, international model and recently joined forces with a local men’s boutique to launch their first women’s line. 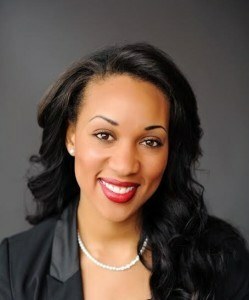 She is also former Ms. Kentucky United States (2013), Miss Black Ohio (2010) and Miss University of Louisville (2018). Dr. Anderson graduated from U of L with both her Master’s and Ph.D. in Nursing. The Women’s Center will present several awards at the luncheon including: The Tachau Gender Equity Award, the Dr. M. Celeste Nichols Award, the Ann T. Allen Endowed Award and the Annual Women’s Empowerment Award. Award winners can be found here.